Why well-fitted shoes for a child matters – What It Is? When a child learns to walk, the first thing that comes to a parent’s mind is what type of shoes she/he should wear. Shoes at this tender stage are essential for protection. Quality workmanship, good material and careful fit are the pre-requisites to consider while buying and selecting children’s shoes. As the little one’s walking progresses, especially when they are all set to walk outdoors, giving them the right pair of shoes is crucial not only for protection but also for their enhanced growth and development. Improper shoes cause discomfort, prevent natural growth and also lead to untold heath problems in later years such as bunions, calluses, foot corns, ingrown toenails and hammer toes. 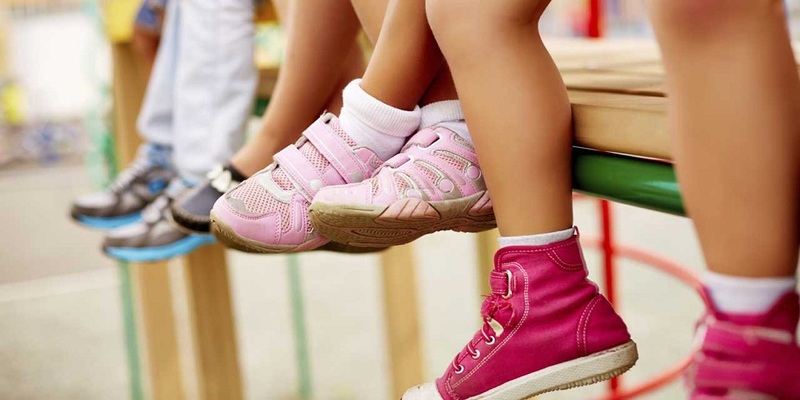 Poorly fitting shoes can adversely affect a child’s walking development. Owing to the discomfort and level of pain that the wrong size shoe can cause, buying appropriately fitted shoes for children is undoubtedly logical in attempting to keep such problems at bay. To allow healthy foot development and prevent foot deformities, children’s shoes should be selected with utmost care. After all the soft, tender feet of the child will walk up and down thousands of miles, thus they need to be pampered. Children spend maximum time on their tiny feet running, playing and walking. No wonder selecting the right shoe is highly significant as these will protect the child’s feet, ensure comfortable walking and playing on various types of surfaces such as sand, gravel and pavement and also offer grip on a smooth surface. For best results buy shoes that are wider, lighter, softer and above all comfortable. Although size is of paramount importance when it comes to buying children’s shoes but another factor that is equally significant is the material. Parents generally prefer canvas or leather shoes for their little one. They must ensure that the material of the shoes is of superior quality so that it is durable particularly in the upper section of the shoes. Besides, these should be flexible too for the kid’s feet. It is always advisable to select light and breathable shoes for children so that he/she can move their feet freely. Thus, parents should always keep in mind that children’s shoes should be everything about fit, function and form and not fashion. Says Merinda fashion consultant at Isabellas Passion. ← Simple Beauty Tips For Women: Beauty in your hands…! !